Kids, just like adults, have some good days and bad ones. But childhood depression isn’t the same as ‘blues’; it is much worse. Many adults believe that children don’t get depressed (as they don’t have ‘adult problems’ like a soul-sucking job, broken relationship or household in disarray), but this cannot be any further from the truth. Children may not have to worry about piles of unpaid bills, but they face various kinds of stress in everyday life. From performance stress to the emotional changes, being a child is not easy. 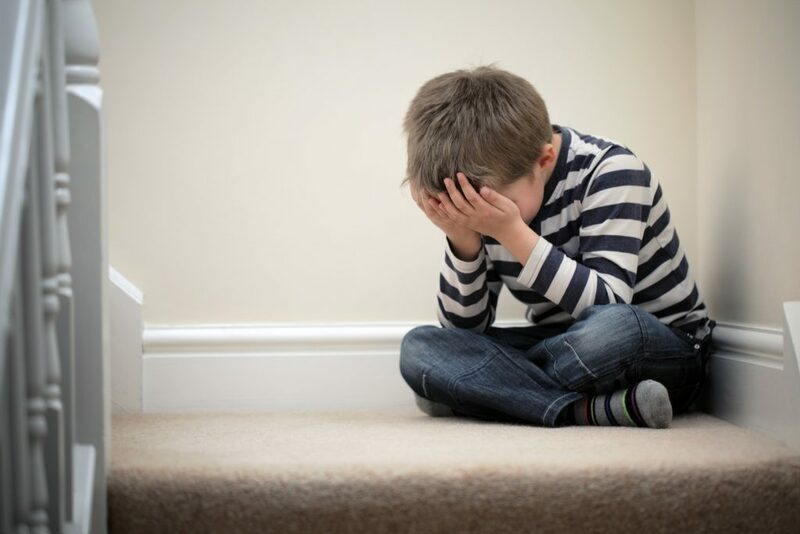 Childhood depression causes persistent sadness in a child or teenager. By sadness, we don’t mean a bad day. It is the kind of lasting sadness that interferes with their normal activities, academics, interests and hobbies and even family life. In fact, one of every 5 children and teens suffers from depression at any given moment. This can easily give you an idea of how prevalent the problem is. Be that as may, the good news is that childhood depression can be accurately diagnosed and treated. As with most disorders, the symptoms vary over children and cannot be bracketed as pervasive by any means. However, the primary symptoms are usually the same and revolve around sadness, mood changes and a feeling of hopelessness. As most of the symptoms above seem trivial to many people (of course, except thoughts of death and suicide), when seen as a standalone issue, the collective outcome of all these is childhood depression. Worse yet, these symptoms are passed off as normal emotional and psychological changes and are often left undiagnosed and untreated. Another important point is that not all children express these symptoms and even the expression will vary according to environment and situations. While some children continue to do well with seemingly less impact on their life, others tend to have a drastic change in academics, social life and even in appearance. It can even lead to drug use in adolescence. According to the Diagnostic and Statistical Manual, for a child to be diagnosed with depression, the symptoms must last for at least 2 weeks. Also, make sure there are no physical reasons behind them. To confirm any of these, you must schedule a visit with a registered health practitioner. To diagnose the condition, the doctor will conduct a mental health evaluation which would include interviews and psychological testing. While there are no specific medical or psychological tests for depression, questionnaires can make a breakthrough. Also, additional information … Read More..